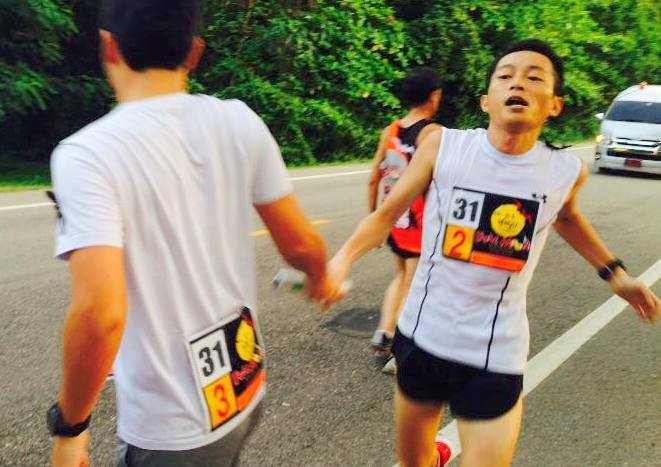 This year, again, I have come back to this race, as a solo runner. This has been my most favorite race in the world, since I first run this race in 2010. 16 beloved friends of mine also joined this race, making two relay teams. 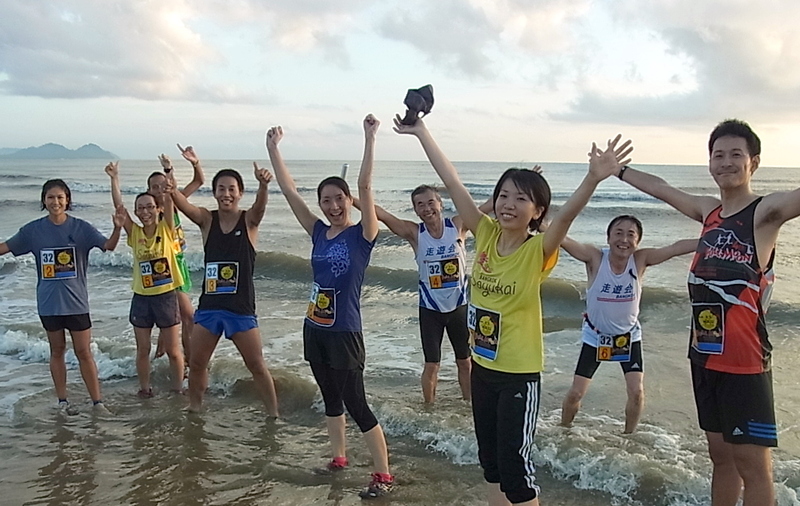 That is Thailand Ocean To Ocean “Full Moon” Race. But, this time, there was something very special. 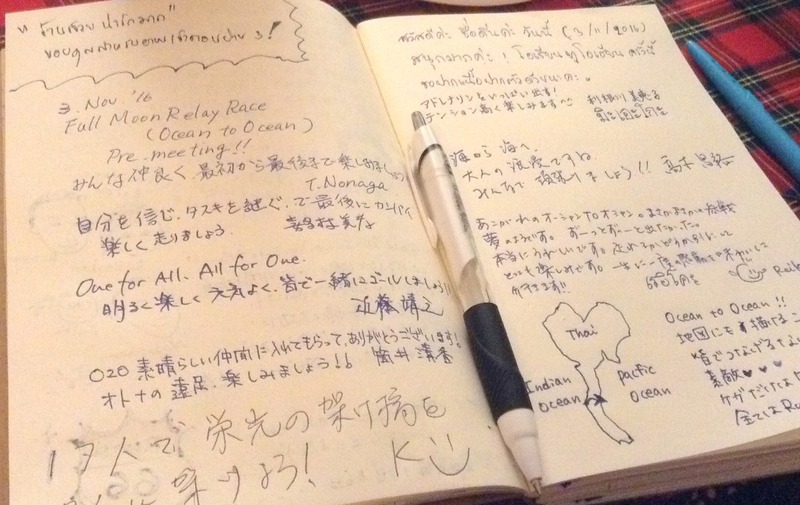 We ran this race, across our Thailand, with the spirit of our King. We lost our King on October 13, and we are in mourning. (This art was on our support-car. 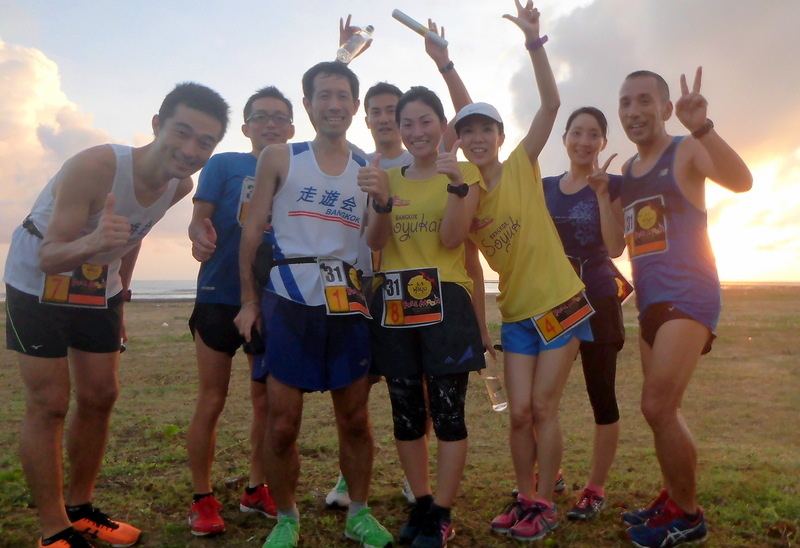 A week before, we, 17 (16+1) runners, joined Kick-Off-Meeting. 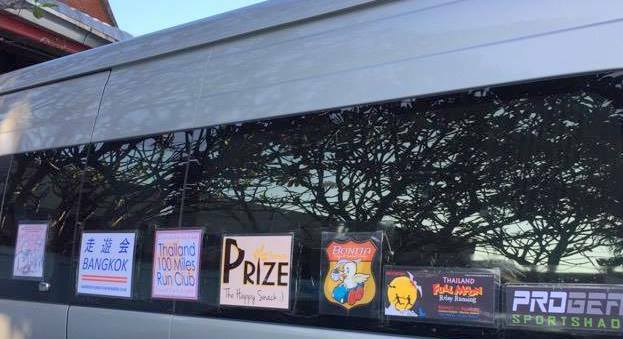 We are friends from two running clubs. Nonaga-san (center in photo) has been our general manager. 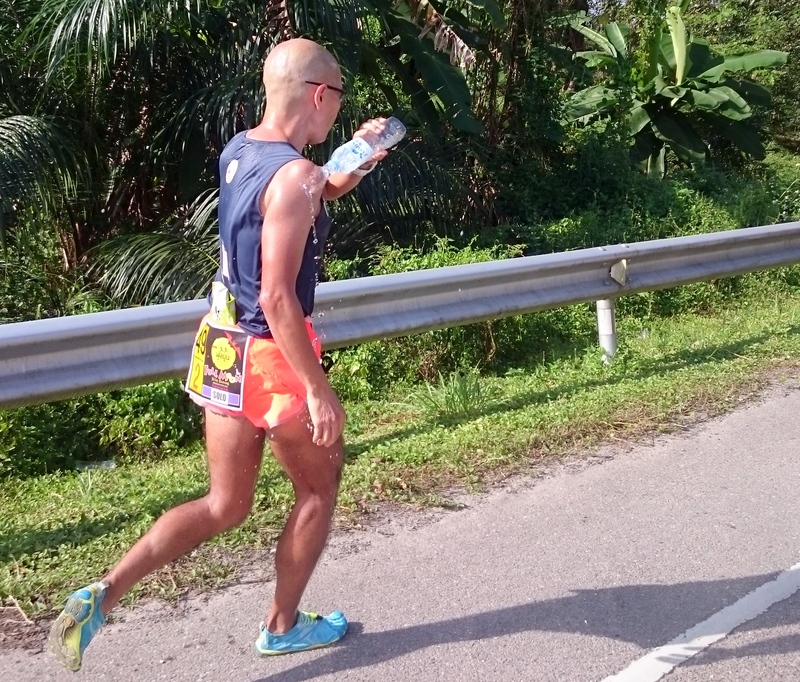 He is one of the fastest and greatest runners and persons in Thailand. We made our wishes, too. At 5pm, on NOV 12 (SAT), at Ranong, Thailand, on Indian Ocean Coast. 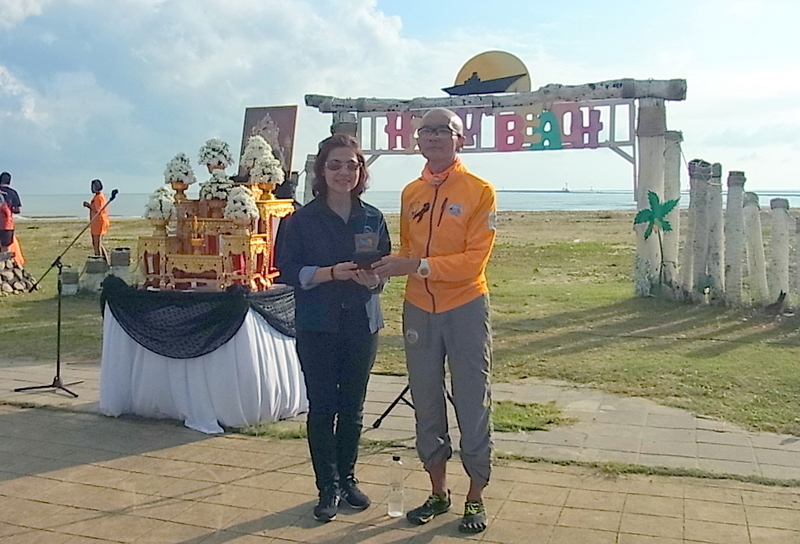 Their goal was Lang Suan, Thailand, on Pacific Ocean Coast, 112KM east, crossing Thailand. 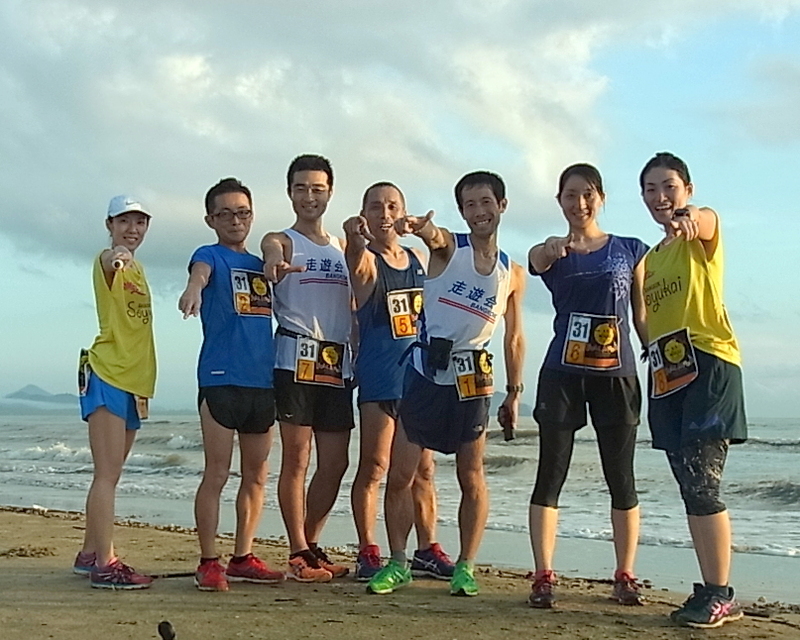 8 runners in one relay team. We had two relay teams, with 16 runners. 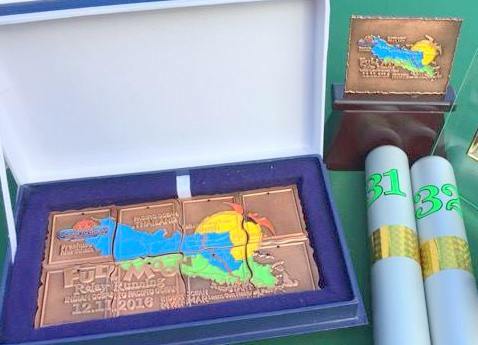 Each relay runner runs 4KM-10KM at one time. 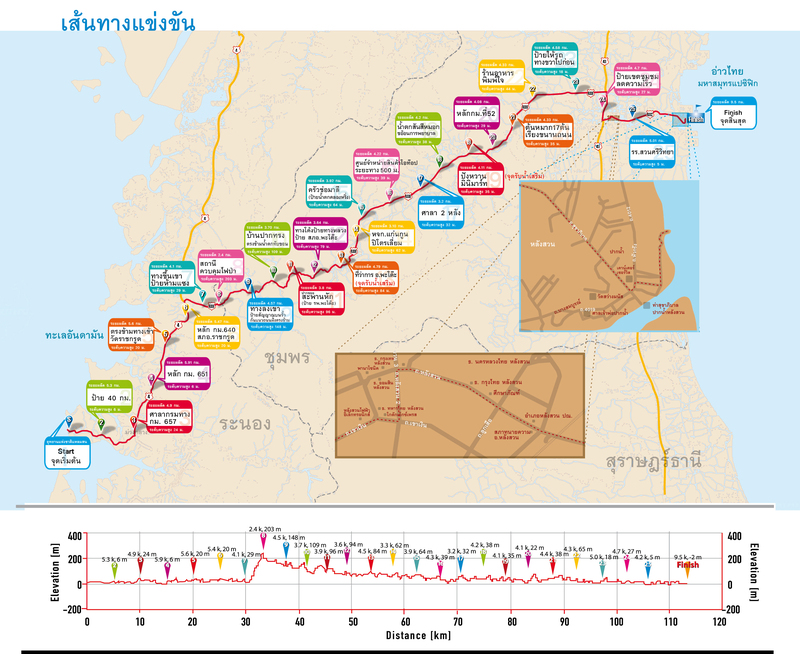 And, totally, each runner runs four times, over night, on this 112KM super hilly course. One company supported us, giving us sponsorship. 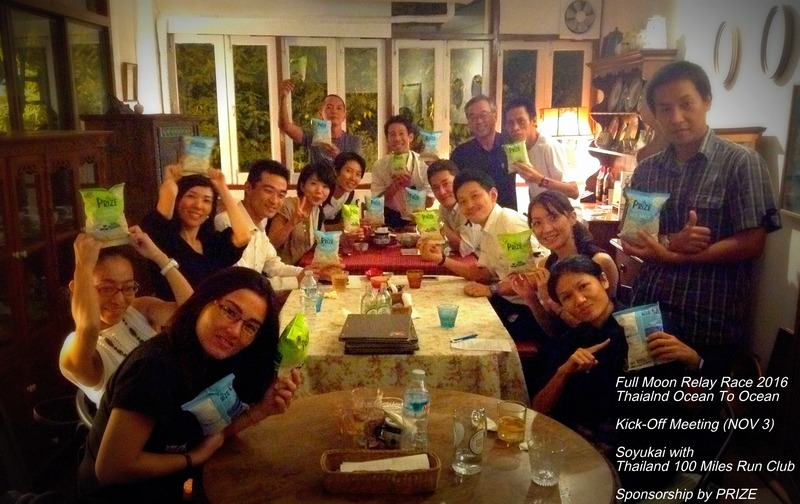 Their organic Thai rice snack is really healthy and tasty. PRIZE has given us energy and happiness. 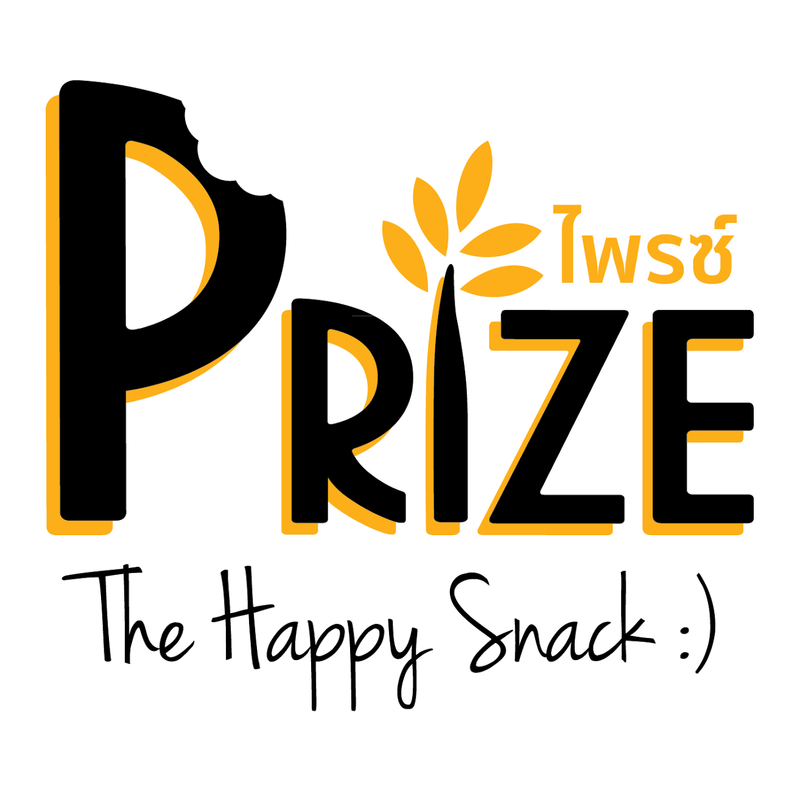 PRIZE is my most favorite snack in the world! Also, PROGEAR has given me sponsorship. Their excellent eye guard gives me protection and safety for my eyes. 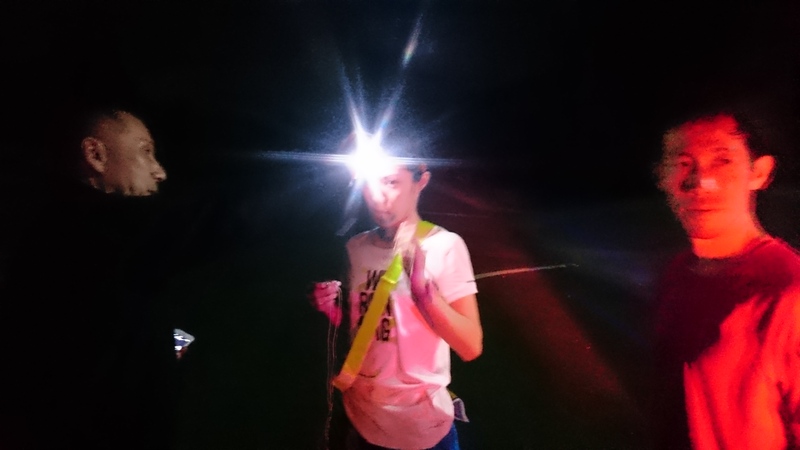 I, a solo runner, started at 2pm, on NOV 12 (SAT), three hours earlier than relay teams. 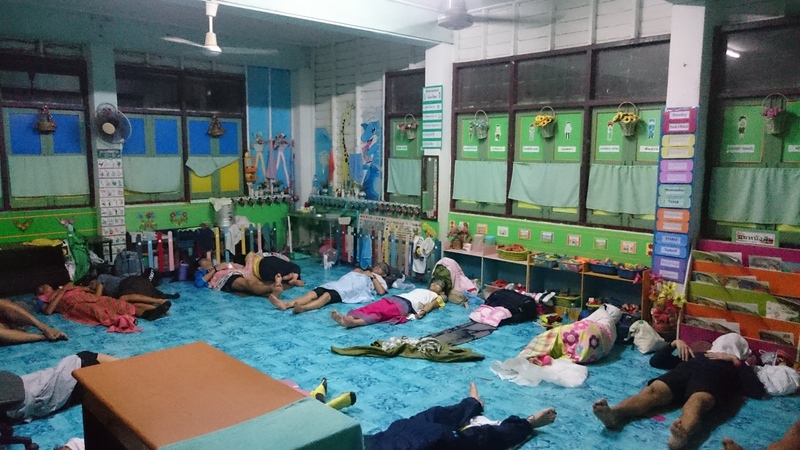 It was VERY hot and humid. 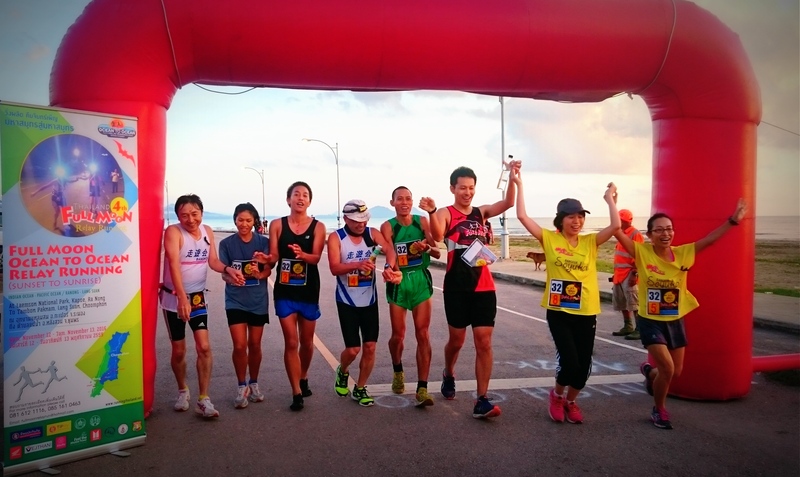 12 people had registered as solo runners. But, only five of us showed up. I truly give my respect to those other four solo runner, who were there. 16 friends of mine, two relay teams, kept on running. They were running with their pride and friendship. 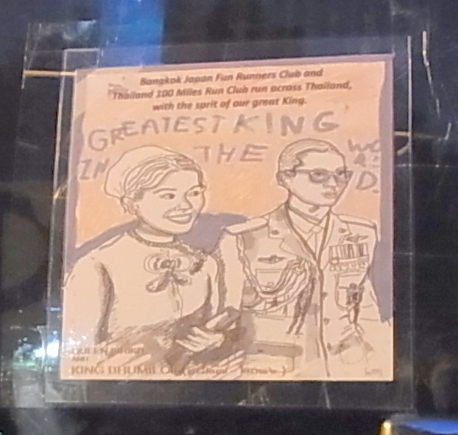 They were running across our Thailand, with our King’s spirit. 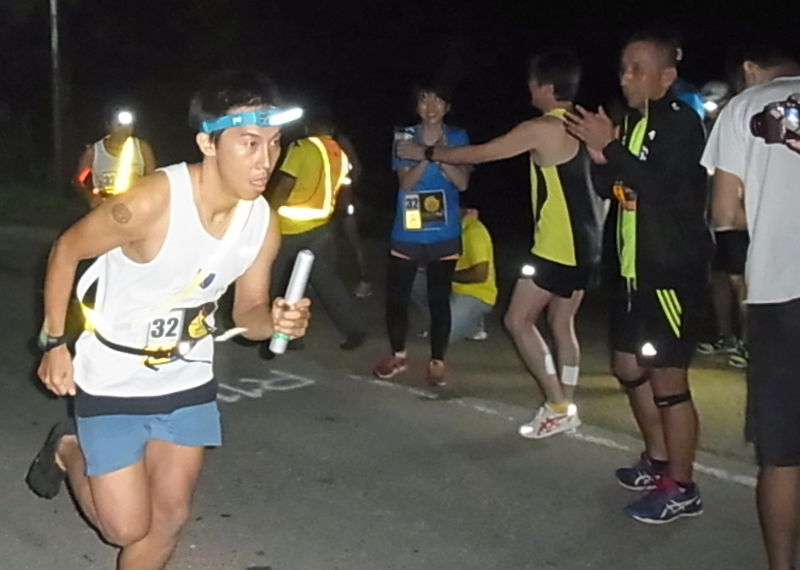 Relay ends at 101KM point. 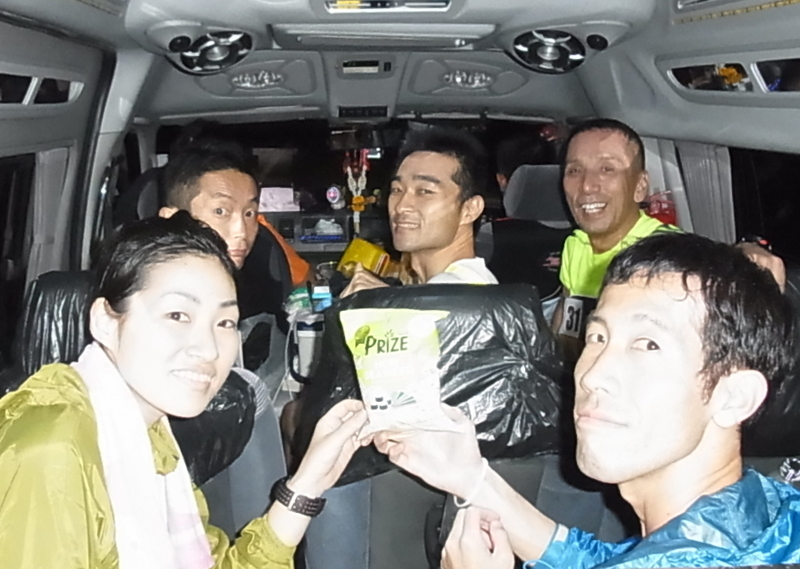 Then, all the 240 relay runners, of 30 teams, took a rest. 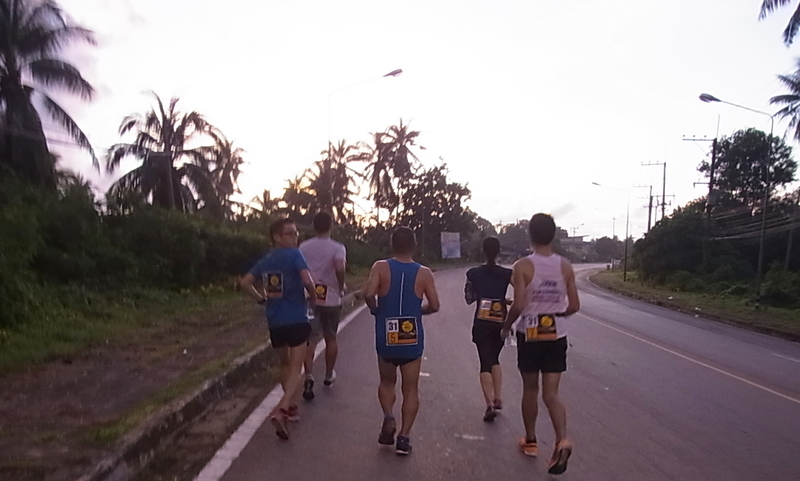 Now, they were getting ready for 5am start of the last 11KM. The last 11KM run. – one of the most beautiful moment in this relay race. 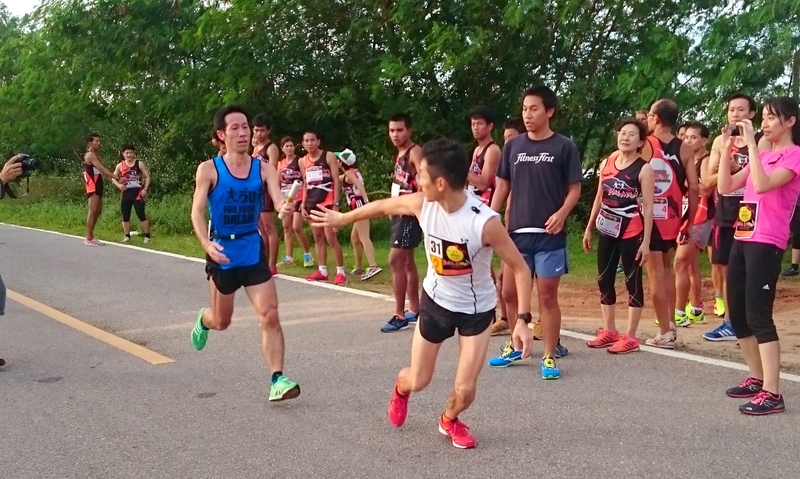 In this last 11KM section, all the eight relay team members run together to the finish line. 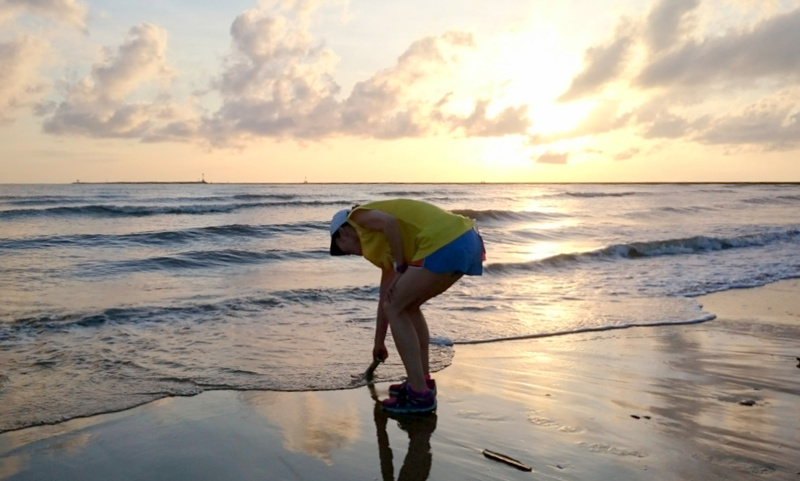 I also could run to Pacific Ocean, at 2:50am, on November 13 (SUN). 112KM in 12 hours and 42 minutes. I am quite satisfied with this result. This is one of my most perfect races in my life. Last time, I ran this course, with the same condition, with 14 hours and 33 minutes. I thought that was the best I could do. But, this time, I have improved almost two hours. This year, also, I just stopped only one time, for 20 seconds, at 90KM point. I have improved myself a lot. I will keep on improving myself. Next time, I want to run barefoot. And, I want to run this race, with my running partner again. 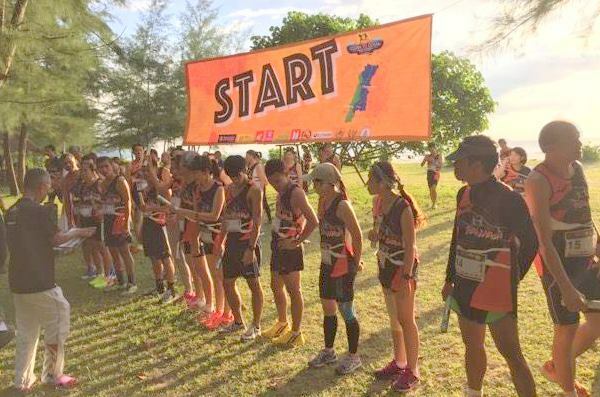 I am sure I will run this race, as a solo runner, again. I am sure we, all friends, will come back to this place again. For our YouTube, please click “THIS“! 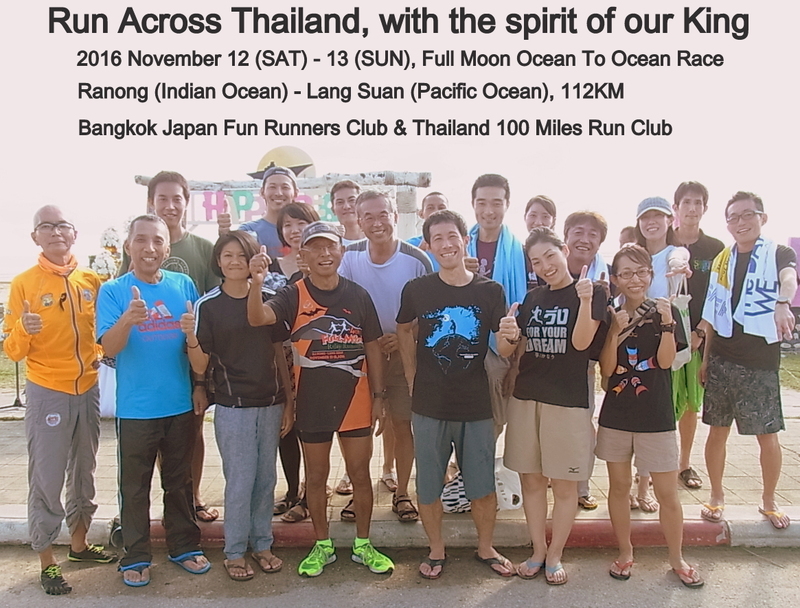 Categories: Atsuyuki Katsuyama, Friendship, Healthy Life, Running, Thailand 100 Miles Run Club | Tags: bangkok, barefootrun, naturalrun, runacrossthailand, thailand, thailand100milesrunclub, ultrarunning, Vegan, vegancafe | Permalink.